In a small bowl mix soft butter with the rest of your ingredients. Even if you're using salted butter, you'll want to gradually add salt. 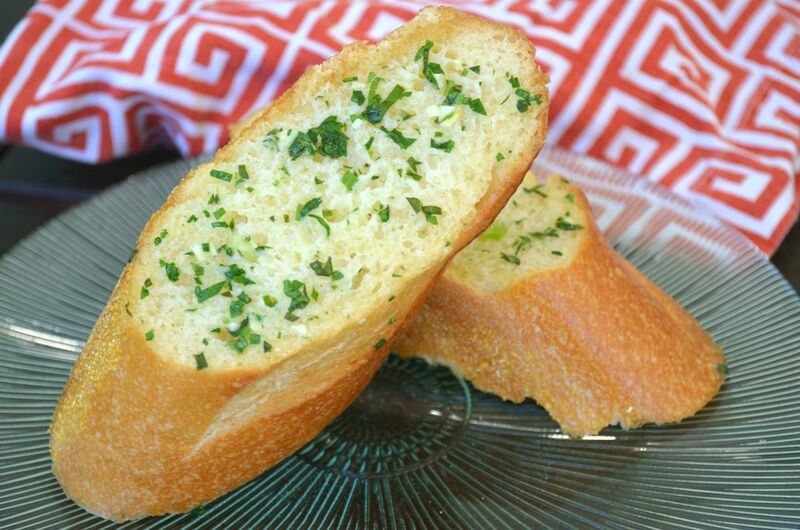 Salt makes the garlic bread come to life. Now taste it. Is it perfect? Preheat the oven to 350 degrees. With a serrated knife, cut the bread diagonally into slices. Don't cut it all of the way through, so that the baguette remains intact. Butter both sides of each piece. Wrap the bread in tin foil, leaving the top exposed. Bake for 8-10 minutes or until the top is golden and crusty and the insides are still soft and warm. Now serve it and be the most popular person at the table! !